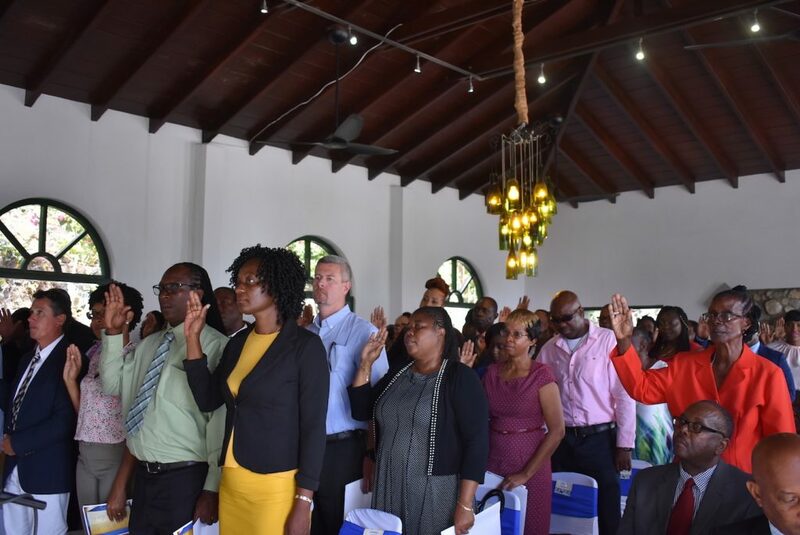 Eighty people were naturalised as British overseas territory citizens on Tuesday during a ceremony at Government House, on the heels of another 80 who were naturalised last week. For Loubaba Tarabay, not having a Virgin Islands passport meant that after she lost all her possessions during Hurricane Irma she couldn’t leave the territory. Normally she has to travel to St. Maarten and then to Paris to get back to her native Lebanon, but the St. Maarten airport was badly damaged and she couldn’t travel through the United States on her Lebanese passport. She ultimately had to contact the Lebanese government to help her leave the territory. 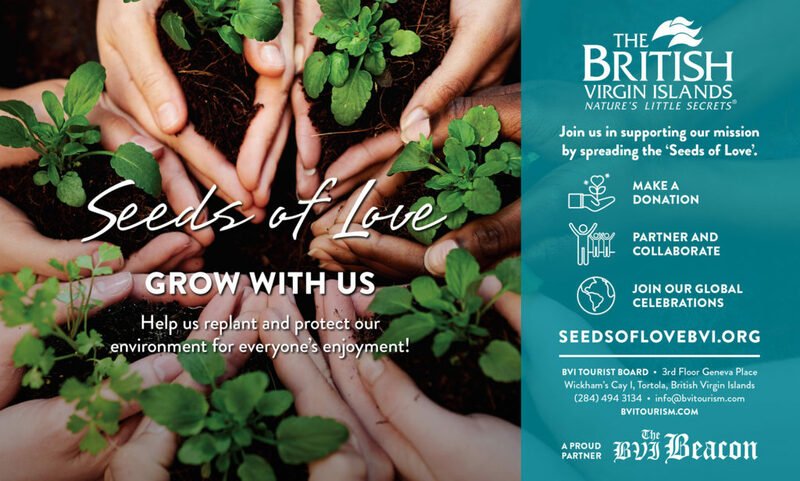 Once she was back in Lebanon with her two children, her attempts to get a US visa were unsuccessful, and she couldn’t come back to Tortola to visit her husband. She ultimately enrolled her children in a Lebanese school and then had to wait 10 months for them to finish the school year before her family was reunited. Now, after 10 years in the VI, she has finally obtained citizenship through her husband, who was born in Tortola, and she can get the same passport as the rest of her family. Now with a third child on the way, she’ll be able to travel easily to Puerto Rico to buy things for her baby. Acting Premier Natalio “Sowande” Wheatley gave remarks on behalf of Premier Andrew Fahie, who was out of the territory, at the Tuesday ceremony, which was also attended by Transportation, Works and Utilities Minister Kye Rymer and Junior Minister of Tourism Shereen Flax Charles. He went on to express the new government’s commitment to streamlining the process. The minister later told the Beacon that while the administration has been outspoken on this issue, the recent upswing in naturalisations is the result of an ongoing effort started before the new government came into power. Governor Gus Jaspert also spoke at the ceremony, commending the new citizens for their commitment to the VI. Jael Hodge, a San Diego native who has lived in the VI for more than 20 years and raised two children here, was one of those recipients. Ms. Hodge said she was “so excited” to be a citizen after her two-and-a-half-year application process.